Home » Online Exhibits » Penn People » Penn People A-Z » William Ezra Lingelbach, Jr.
William Ezra Lingelbach, Jr., was born in Philadelphia, Pennsylvania, on May 22, 1903, to William Ezra Lingelbach, Sr., and Anna D. Lane. He graduated as valedictorian from West Philadelphia High School in 1921 and entered the University of Pennsylvania’s Class of 1925. Lingelbach was active on the soccer and tennis teams during his time at Penn and was a member of the Zeta Psi fraternity. He was elected to the Sphinx Senior Society and the Phi Beta Kappa honorary fraternity in addition to being named valedictorian and Bowl Man of his graduating class. Following graduation, Lingelbach briefly taught American history at William Penn Charter School in Philadelphia while taking courses in international law at Penn. 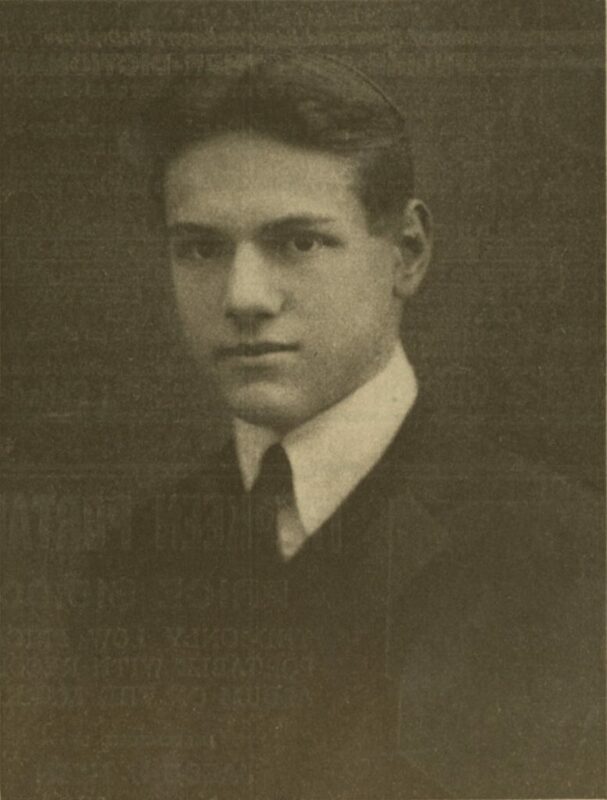 He was named a Rhodes Scholar representing Pennsylvania in 1926, however, and left for the University of Oxford’s New College where he studied international law until 1929. Lingelbach was admitted to the Pennsylvania Bar in 1930 and joined the firm of Morgan, Lewis, and Bockius the same year. He became a partner in the firm in 1941. Lingelbach was inducted into the inaugural class of Penn’s Athletic Hall of Fame in 1996 for being one of the University’s all-time leading goal scorers in soccer and one of the driving forces behind Penn’s wins in the 1923 and 1924 Intercollegiate Soccer Championships. Lingelbach married Barbara Warden Strawbridge in 1933, with whom he had two sons and three daughters, and remained with her until her death in 1974. He remarried in 1979, to Alice Welsh Sailer Litchfield. Lingelbach died on January 8, 2001, at age 97.